Australian cities have seen a resurgence and spreading in the popularity of inner city laneway precincts. It’s no coincidence that the popularity in these precincts mirrors the demand for inner-city living and the importance of the CBDs for retail and dining outlets. Some laneway areas have become tourist attractions in their own right often complete with their own walking tours. 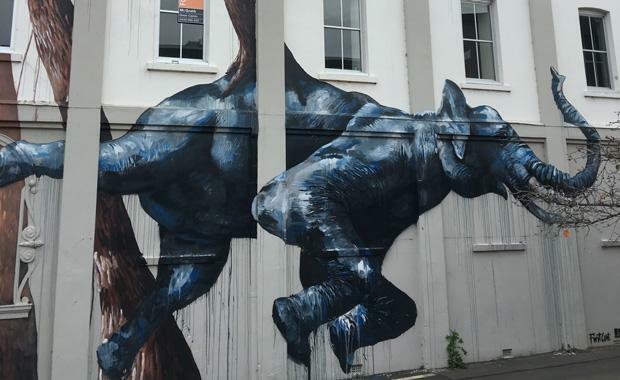 From funky boutiques, independent retail stores, upmarket restaurants, antiques and galleries, cafes, and of course, your favourite espresso bolt-hole, there is often a heavy presence of uber cool street art to round out the urban feel. Ranking them is almost a pointless exercise with so many to choose from and all having their own character and quirks. But, here we pick five of our best from around the country. No trip to Melbourne is complete without a visit to Melbourne's famous laneways – some of them small and hidden. Many of them date back to the Victorian era where they were predominantly used as service lanes for the horse and cart. Particularly during the 1990s the laneways became more gentrified and the focus for chic retail and café dining. Located on the southern edge of the city off Flinders Lane near Federation Square, Hosier Lane still allows vehicle access on its bluestone cobbled surface. Sophisticated urban art abounds as well as a number of Melbourne’s upmarket cocktail lounges including Misty and MoVida. Local and international artists are invited to contribute to the often edgy and always changing street art. A special mention must be for the St Jerome’s Laneway Festival. Now a substantial music festival which has spread around the country, it was inspired in 2005 in Caledonia Lane by Jerome Borazio and Danny Rogers who wanted an inspiring music scene which started from Jerome’s glorified speakeasy. It quickly became a hit with Sunday shows soon transforming into a dedicated music festival. Adelaide has embraced its laneways and side streets, Including in central Adelaide. Leigh Street has been converted into a traffic free al fresco dining strip amongst the beautiful heritage listed buildings. The SA Government’s new small bar licence has helped contribute to the explosion in fashionable new bars which has helped contribute to an emerging and lively city social scene. Leigh and Peel Street run parallel to each other between Currie Street and Adelaide’s famous Hindley Street – for long the centre of Adelaide’s nightlife. Just out of Brisbane’s CBD in neighbouring Fortitude Valley, Winn Lane has developed a vison by it’s backers to ‘create an affordable space for independent, first time retailers who were passionate about their product or design.’Yard sales and product launches are regular features of this vibrant precinct which is just off Ann Street. Special mention to Ben's Burgers as well, few and far between have left this retailer without having a spiritual experience. Right in the heart of Town Hall, Albion Place is surrounded by the city buzz including Sydney’s Spanish Quarter, George Street Cinema and a multitude of dining options. It’s definitely one of Sydney's more popular laneways, but also offers a quick, calm escape from the bustling city life. The alley walls are colourfully painted and the chic bistros in the laneway only adds to the colour and vibe. Artist Caroline Rothwel’s Watling Tree is a feature of the street, featuring a stunning tumbling tree design etched into a stainless steel panel. Just a block west of the Murray Street Mall is one of the recently renovated Perth laneways, Wolf Lane. The renovation included consolidating the bins, minimising traffic and adding visual appeal through interesting artworks. These renovations along with the an increasing public interest in usable laneways has lead to several outdoor musical ventures in the Wolf Lane car park that have featured local and international acts. Wolf Lane is home to a number of small bars, cafe and specialty boutiques. Wolfe Lane Bar is a popular after work and weekend place to meet for cocktails and music in a chic, New York style atmosphere. Further into the lane, is Alda, an Italian restaurant, that some argue is one of the best in Perth, known for its fresh food on a constantly changing menu. Main image: Not all popular laneway precincts are restricted to our main cities. Many larger towns and regional centres are also getting in the act. This shot of a fun wall painting was taken just off Ruthven Street in Toowoomba, Queensland.